Specialising in branding & information design, I draw upon over 9 years of industry experience working in a huge array of sectors and disciplines - from small logo jobs for local businesses to large scale way-finding projects for international events - I offer a knowledgeable, friendly service while seeking out the most innovative and engaging ways to meet your design needs. Frankly, I love what I do - through design I can engage with the world in so many different and interesting ways, each project comes with its own unique problems to solve and investigate and design allows me to constantly evolve and learn new things about these interesting subject matters while solving Intricate visual communication problems. An infectious passion for beautiful, well crafted design coupled with an unforgiving hatred of ill-thought out, ugly design, ensures you get a tailored, professional and well executed job time after time. 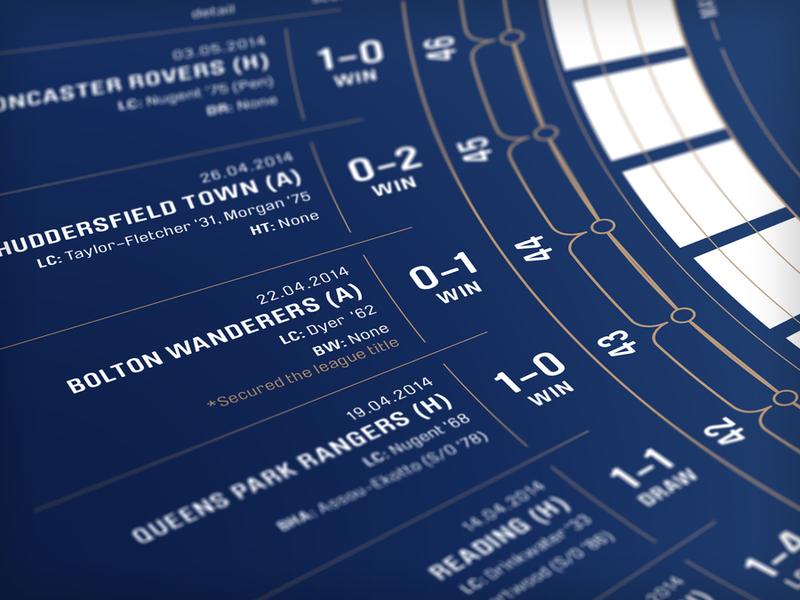 Information graphic design for Leicester City FC's title winning season.